From the publisher: Dogs are dogs and wolves are wolves. Except when they aren't! Most scientists now agree that the dog is a subspecies of wolf? Canis lupus familiaris. And while most wolves look and act differently from most dogs, it can be very hard to make accurate identifications, especially since wolves and dogs can and do interbreed and certain breeds of dogs look and act a lot like wolves. 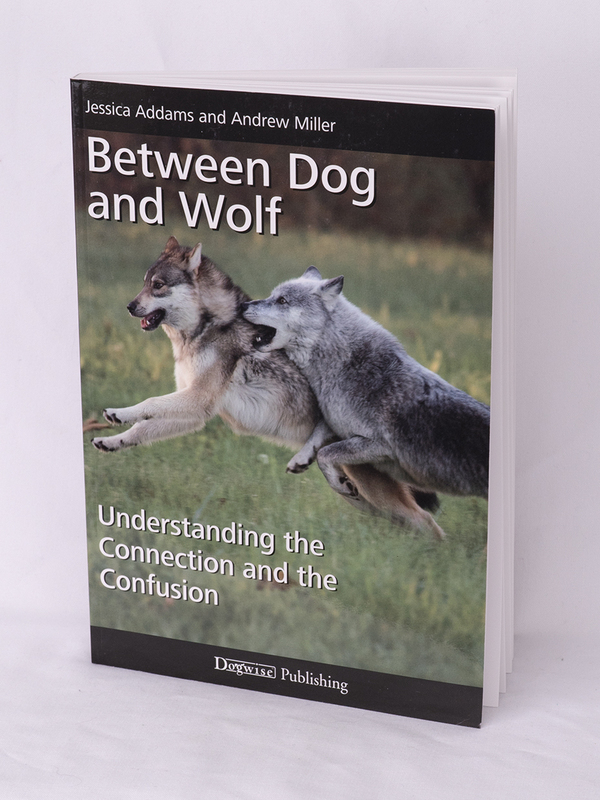 Having spent years employed at Wolf Park, in Indiana, authors Jessica Addams and Andrew Miller have encountered hundreds of so-called wolves that turned out to be dogs, hybrids that exhibit the characteristics of both wolves and dogs, and even pure wolves that act like dogs. Between Dog and Wolf takes a fascinating look at how wolves and dogs are related, why they can be so hard to tell apart and what rescue organizations need to know when they encounter a canine of unknown origins.